The birds in our local wetlands are in their glory at this time of year. And so are the birdwatchers!! Like the Great Egret I included in last week’s post, nearly everyone is in breeding colors, and there are birds of every type and size nesting in all the trees! 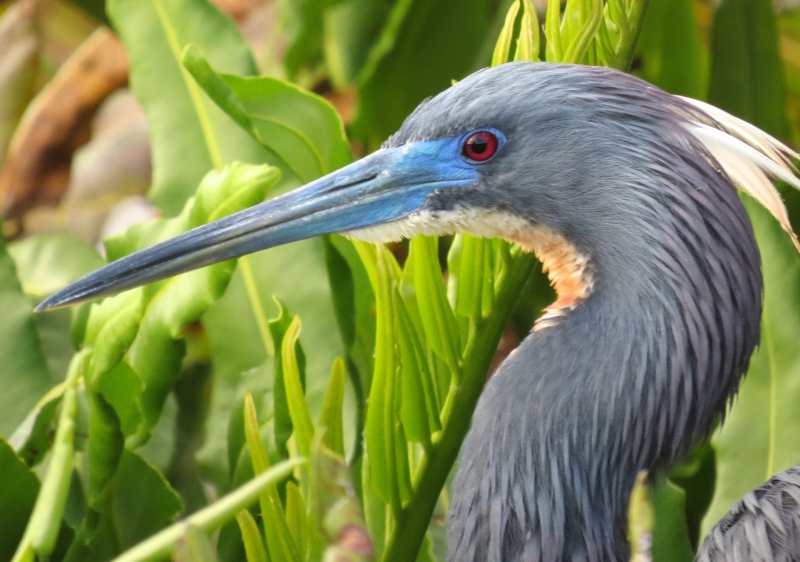 Tri-colored Heron with breeding plumage. Male Anhinga in breeding colors. but even the nesting sites on the more distant islands can be seen quite easily with binoculars or camera lens. 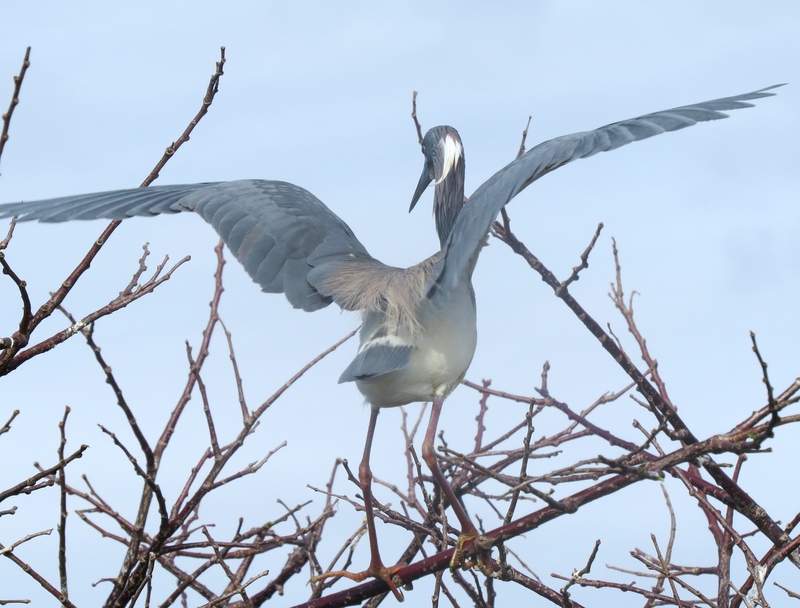 Tri-colored Heron balancing against the wind. Great Egret flying off to find nesting materials. It is such a spectacle of nature to witness these magnificent birds as they become transformed at this time of year. Why, they even look great from the rear view~! 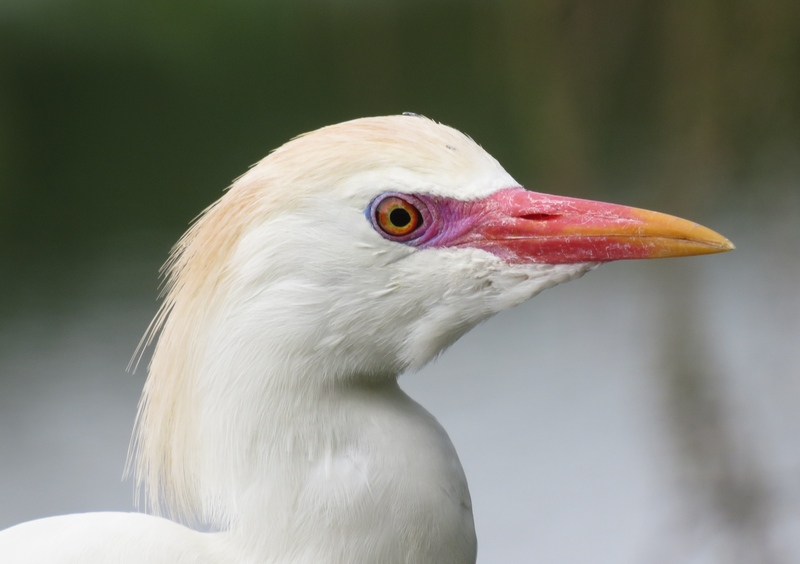 This entry was posted in Birds, Marsh/Wetlands and tagged Anhinga, Cattle Egret, Great Egret, Tri-colored Heron, Wood Stork. Bookmark the permalink. How wonderful when they deck their breeding plumage, a wonderful time of year! Oooh, how beautiful! Wonderful captures, Wow!! Thanks, Amy! They are really a treat to see! Beautiful captures. 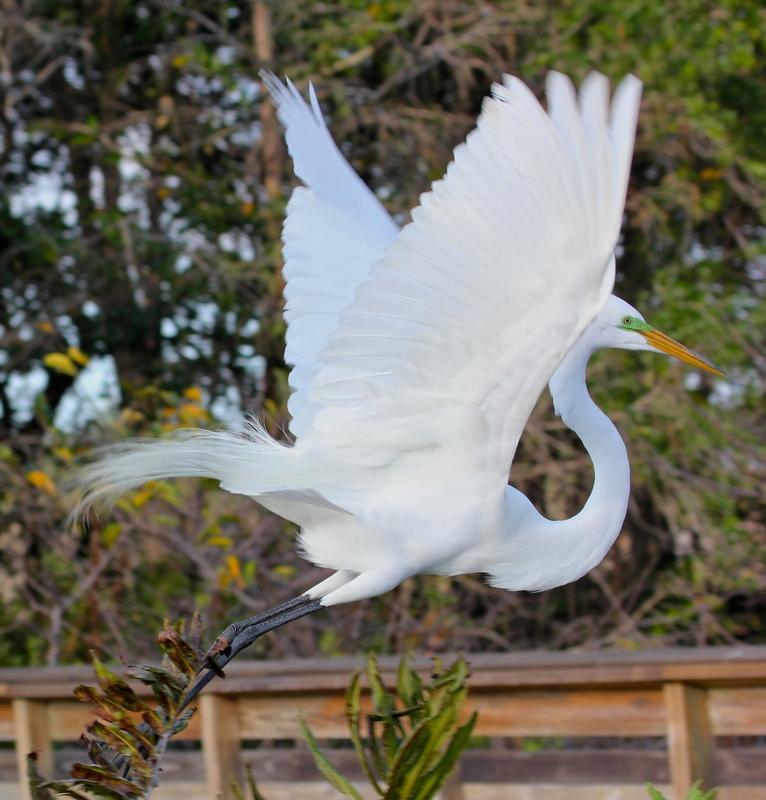 The Great Egret Flying is a stunning capture, reminding me of ballet. Yes, they really are like graceful ballerinas~! wow – very nice photos!! must be really great to get so close to the birds!! It truly is amazing that we can get so close. I often worry that such proximity will disturb the birds, but they seem to be okay, as they come back in great numbers every year. This really is the best time of year for birders. Our birders are just planning the field trips for all the breeding birds soon to arrive. 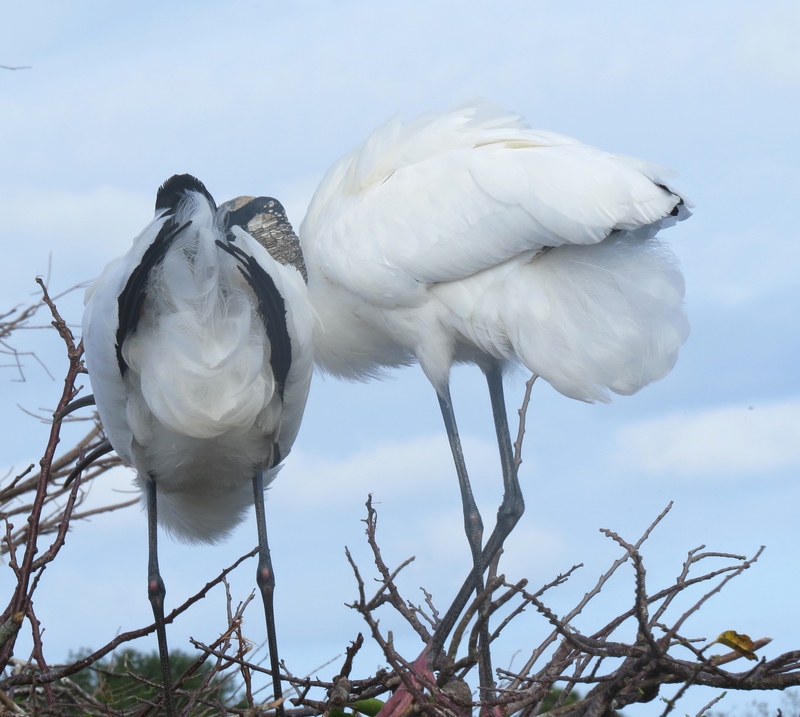 All your photos are beautiful, but the wood storks in the last image is my favorite. They are so pretty against the blue sky. The Anhinga has a very colorful eye. Is it only in breeding season that they get that bright green surrounding the eye? Yes, Donna. 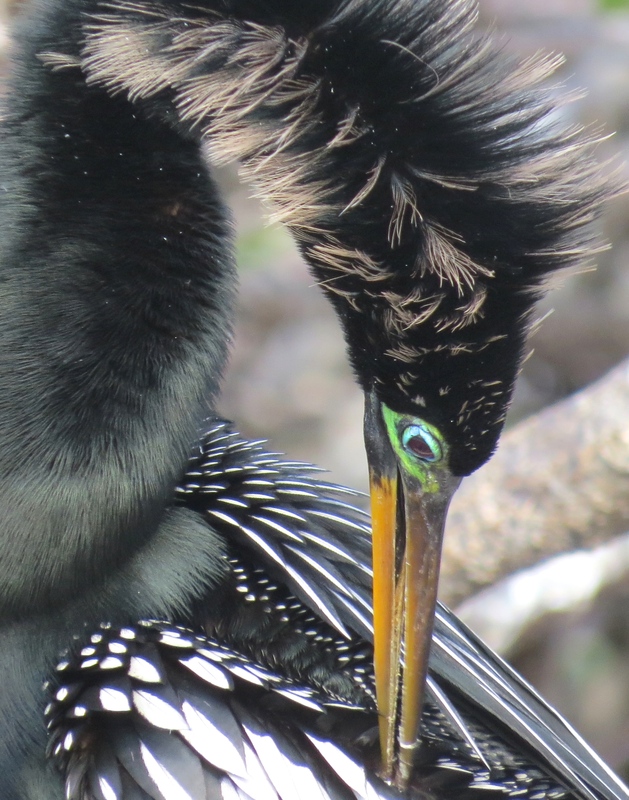 The bright turquoise-blue color around the anhinga’s eye shows up in the breeding and nesting periods of the year. Thanks for your comments! Those are wonderful eyes you captured. Thank you, Lyle ~ they do look very special at this time of year. So happy you enjoyed them, Pat – thank you so much for visiting! Thank you, HJ~! Enjoy your week! Glad you enjoyed them! Please DO let me know if you ever make it to FLA, Kathy – there are so many marvelous birding spots all around the state!